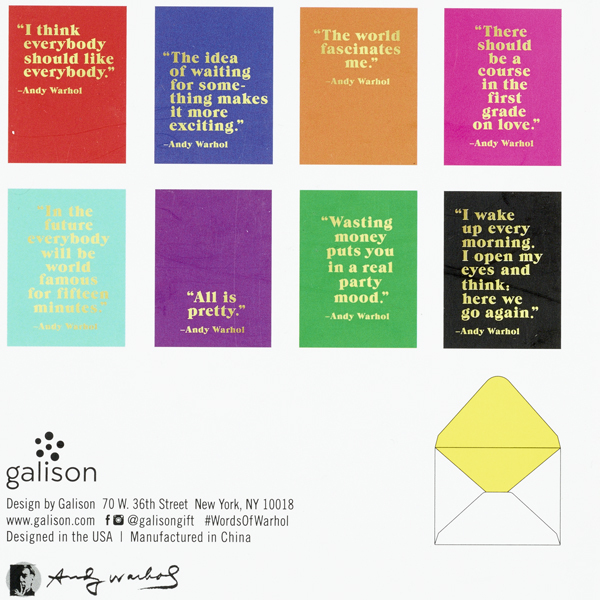 16 notecards with envelopes- 2 each of each designs. 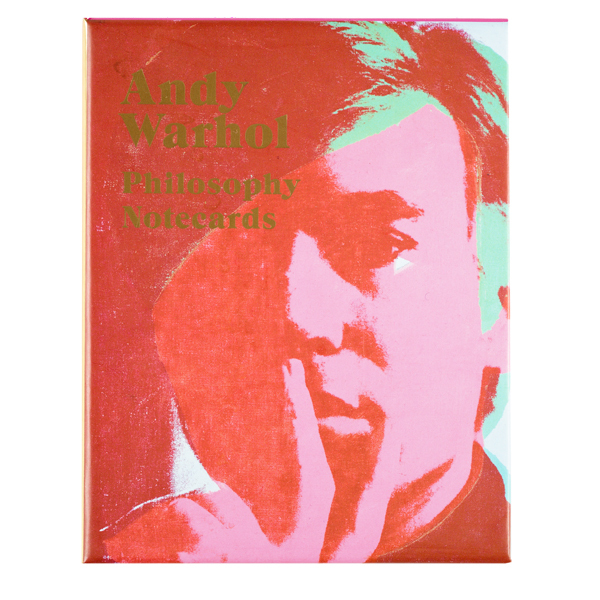 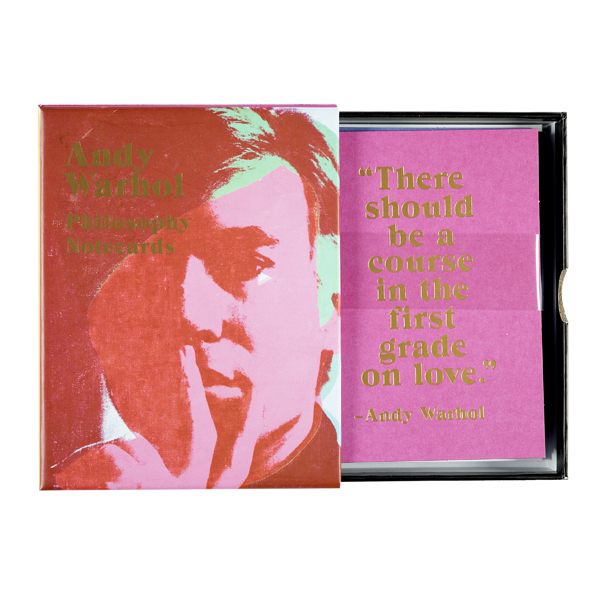 These notecards feature the philosophical musings of the iconic Pop artist Andy Warhol, including such gems as, "In the future, everyone will be famous for fifteen minutes," and "Wasting money puts you in a real party mood." 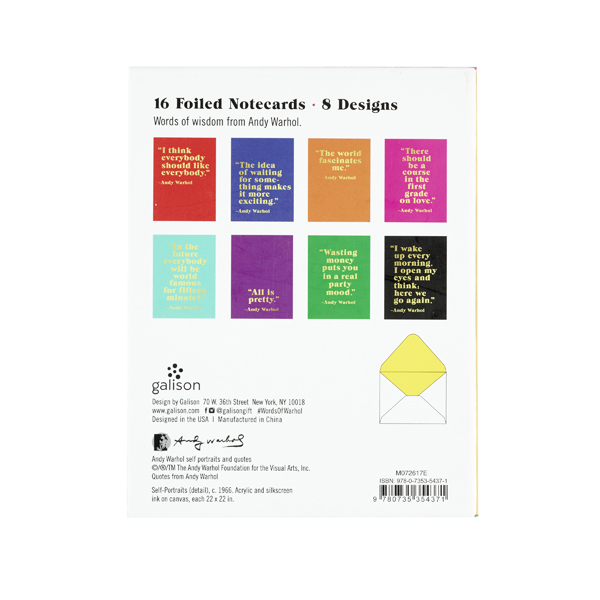 Each notecard is printed in gold foil on a coloured background.